See how Jenifer's firm warms up cold calls and gets lots of inbound sales leads every month. 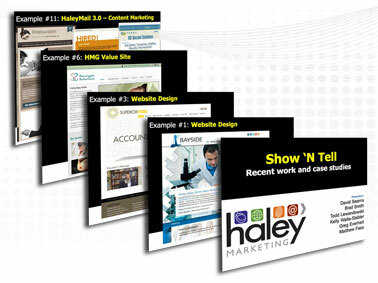 This slideshow is packed with samples of the latest and greatest websites, email marketing, social media, and direct mail campaigns for the staffing industry. Don't miss out! 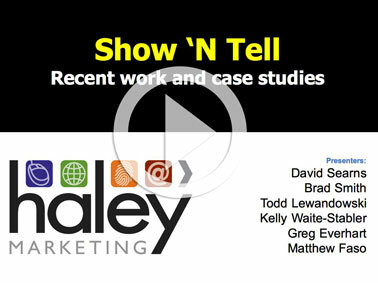 Watch the replay of our Show-'n-Tell webinar for the full story behind all of the latest trends in staffing industry marketing. I hope you enjoy our slideshow of the latest marketing trends in the staffing industry. If you'd like to brainstorm new sales and recruiting ideas for your company, give us a call at 1.888.696.2900. We'd be happy to help you.